Find the purifying power of bamboo charcoal in this face cleansing gel to cleanse skin deep down, to purify and unclog pores of impurities and blackheads. Daily use particularly recommended for oily skin and acne-prone. Made from natural ingredients, the bamboo charcoal cleansing gel enables to obtain quickly a healthy-looking skin, pure and clear. This skincare fights against imperfections, purifies, cleanses, matifies and unclogs pores. It eliminates all makeup traces, sebum excess and also dead cells for a soft skin after each use. It is suitable for all skin types, notably acne-prone skin with spots and imperfections. How to use Beauty Purify black bamboo charcoal cleansing gel? 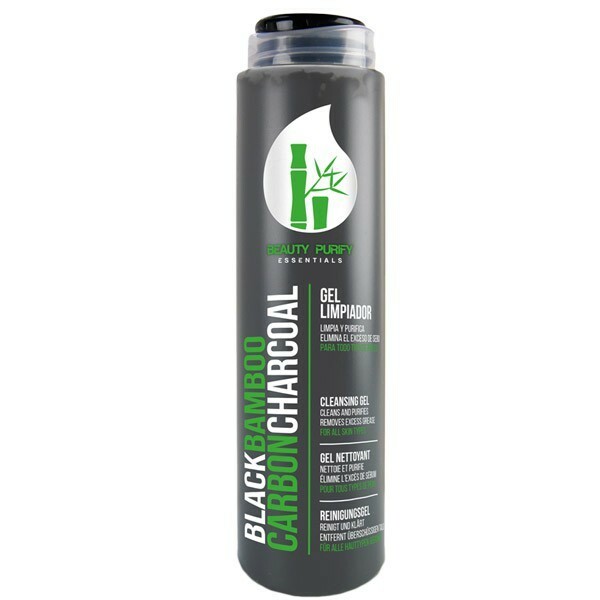 You can use the bamboo charcoal cleansing gel on a daily basis, every morning to start the day with a clean skin. Apply a small amount of gel on your wet skin, making gentle circular motions all over your face. Rinse with warm water and finish with a gentle spray of cold water to tighten pores which are now purified from impurities. As a result, skin is luminous, smooth and clean.